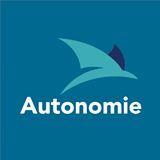 Autonomie is a charity in Northern Ireland who work with young people with physical disabilities and their families by providing practical support. At Autonomie, we are dedicated to empowering young people with disabilities to develop the skills to live independently and reach their potential. Our Vision for the future is that all disabled young people's lives are full of fun, friendship and rich in opportunities and independence. Just like any other young person's. Our centre Lilac House (Linked Independent and Advice Centre) is based at 4 Sandhurst Road, Belfast. To learn more about our work watch this short film here. To view Lilac House (Linked Independent Living and Advice Centre) click here. What Next? programme runs 2 days per week. Promoting positive mental health and practical learning that’s fun, this skills-based activities programme offers young people living with physical disabilities and additional needs aged between 16 and 25 a chance to learn life skills, gain education and work focus training, try independent living and more! Freedom2Choose programme offers young people with physical disabilities and allied additional needs aged between the ages 14 - 25, recreation and social space, skills development and supported events/activities independently of families and carers. Our current programme runs until `15th of December 2018. To learn more and to register speak to a member of our team! Find out more about our full range of services by visiting our website here.